Hello. My name is Mike Q and I’m a fitness coach, sport nutritionist, and pro MMA fighter. 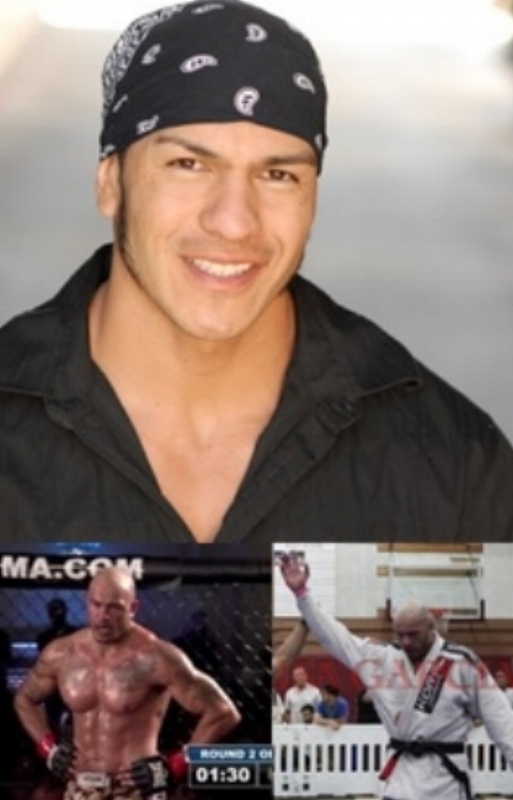 My specialty is in combat sports nutrition, strength and conditioning and performance. But I have worked with all types of clients ranging from world-class professional athletes to the severely obese. For over two decades, I have had tremendous success with this wide range of clients due to my unique style of services. TigerFit training services are now available at the state of the art Pasadena Strength & Conditioning Facility ( Pasadenastrong.com ) or at various locations in the Los Angeles area. For the past 8 years, I've been a certified strength and conditioning coach that specializes in training amateur & pro combat athletes. But I also enjoy working with inexperienced individuals that are looking to transform themselves into lean, mean fighting machines. I'm a BJJ Black Belt with high level striking skills (Muay Thai/ Boxing). I offer training sessions in which I mix fitness exercises (body-weight, free weights, kettle bells, plyometrics, medicine balls, etc..) with any combat sports related activities (mitt/ pad work, sparring, grappling, rolling, i.e.). Depending on your goals, level and interests, I will tailor a specific program to meet your needs. You will get into the best shape of your life as you learn real functional self-defense technique and fighting skills. I do not offer a generic and unrealistic, one-size-fits-all diet and then send you out the door, never to hear from you again. Nor do I offer the latest, cool fad diet and fill you up with lame pseudo-science to make it sound new and exciting. I dedicated several years of my life to advanced nutrition education to not only learn the science and fundamentals but to also have the ability to see through the tremendous amount of BS that exists in the nutrition world today. What I do offer is a no nonsense, science based and tailor-made program for each individual client. The meal plan I provide you will not only be effective but also extremely practical, because it will be specifically constructed to seamlessly meet your lifestyle, personality, and specific goals. There will be zero guesswork involved because we sit down and interactively build an easy to follow meal plan, as well as plan strategies to deal with the usual pitfalls and sabotage that you will encounter. I also use a unique psychological system of behavior modification to keep you accountable for the duration of the program—weekly weigh-ins, feedback, discipline, text/ email and relentless motivational support. In other words, I will be with you at every step of the way until your goal is reached. Due to this time intensive method, I may only work with a limited number of clients at a time. Therefore, I only work with extremely motivated and committed clients who are willing to make the necessary extra effort that optimal nutrition requires. I’m extremely passionate about my craft so I don’t like to waste my time with individuals who are not 100% ready to make the positive changes. If my services sound like a good fit for you, please contact me via email and I will send you further instructions. Base Price is 120$ for a typical 8 week nutrition program (various price packages available). If your interested in this type of training or any of the above programs please contact me. I look forward to achieving extraordinary results together. Your goals become my goals, so let's fight for them together. - Private and semi-private training pricing varies according to Program and location.